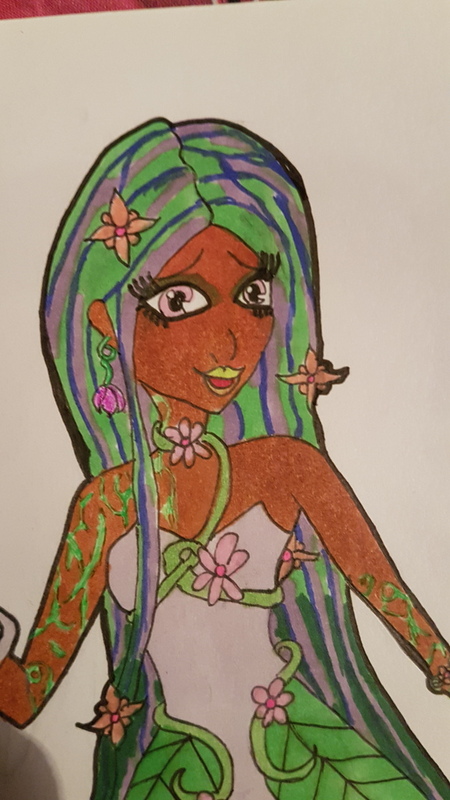 Work has some slow periods and in an effort to get me out of my art slump, I'd like to offer art of any Monster High OCs you have. It won't necessarily be a style emulation, so if you're looking for art that resembles official art, I probably won't be able to help you there. This is Lux and her twin sister Nyx. 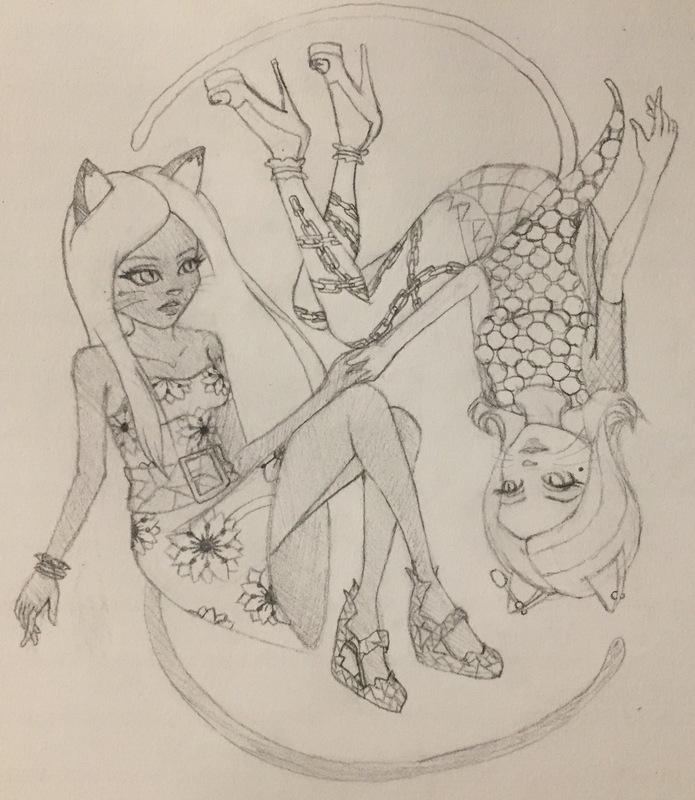 I wanted a Yin and yang vibe when I made these custom kitties. If it's not too much to ask, could you please make a pic of the two of them together? Thank you. System issue at work today so I can't likely do anything soon, but I did get started on a drawing for you yesterday! Do you have any other photos of them, or can you let me know which clothes they're wearing? And if you added anything in their hair, otherwise I should be able to find pics of the original dolls to ensure I get the streaks right. Thanks! 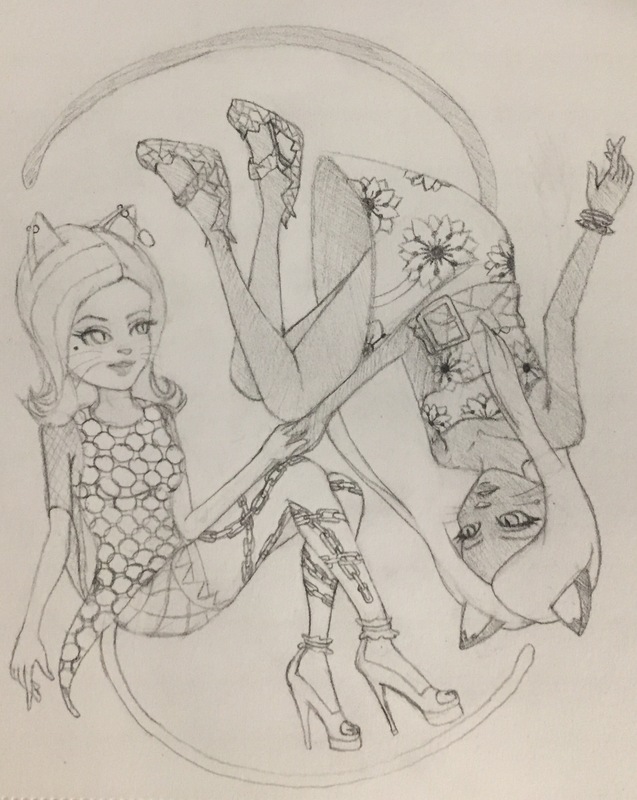 Nyx is a repainted Fierce Rockers Catty wearing her own shoes, Fierce Rockers Toralei's accessories except the neck piece and Gloom and Bloom Cleo's dress. She has a white beauty mark on the opposite cheek in comparison to Lux/ Catrine's beauty mark. Lux is Shriek Wrecked Catrine wearing Picture Day Spectra's top,and leggings and the CaM Gorgon's dress underneath the top as a skirt with the CaM vampire shoes. Well, since you're kind enough to offer, how about you give my Adorah Mouy a try? Hey hair is dark green, like at the bottom. Ooh she's cute! Provided my motivation stays up, I'll get something out to you! Wow, pretty! I love your style!